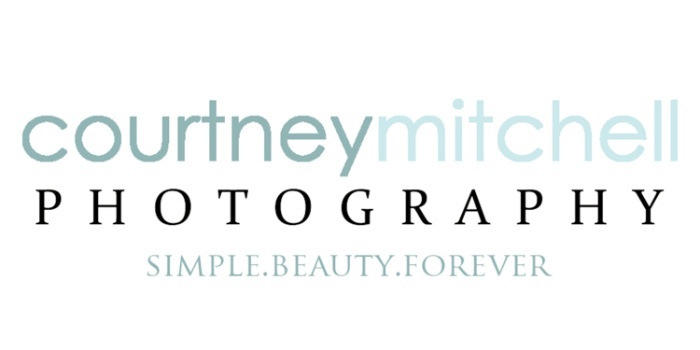 Courtney Mitchell Photography is an international award winning photography studio located in historic downtown Sherman, Texas. We are the only Certified Professional Photographer within 25 miles. We specialize in Newborn, Children, Families, Seniors and Professional Portraits. Courtney Mitchell Photography serves the Texoma area and has won Best Photographer in Best of Texoma for both 2017 and 2018! The new 2200 sq ft studio is located just off the square in downtown Sherman in a lovingly restored old building. The beauty of shooting in the studio and on locations nearby cannot be matched. A portrait experience with Courtney is completely custom to you. Should you choose, many other locations are available. As always, consultations are free and we encourage you to call the studio to let us start designing your experience. Just weeks from now, your little one will no longer fit so tiny in your arms. Capture the memories of your new addition as it blossoms and grows. International Award Winning Photographer Courtney Mitchell can work with you to create one of a kind custom fine art works of art that can include digital painting techniques. Make an impression with an updated professional portrait. The birth of a child marks a defining moment in your life. From this day forward, everything changes. You have a new reason for living. You have a new reason to love. And just weeks from now, your little one will no longer fit so tiny in your arms. They are only this little for so long. With a portrait session at Courtney Mitchell Photography we will help you, let that beginning never end. There is little value in your portraiture investment unless you have something tangible at its conclusion to enjoy. A printed piece that lives permanently in your home will be cherished for generations to come. Plus, university research has proven that printed art of your family members provides 65% more emotional connection to your loved ones than swiping through electronic images on a device. Research has also proven that images visible and on display for your children to see, improves their sense of belonging, raises self-steem, and instills security in their family unit. Our mission is to help you create something not only tangible for your home, but also deeply moving for you and for your children to love and adore as the years pass. There’s a reason you chose to invest in professional portraiture. We plan to ensure that reason resonates in your heart each and every day, and that your printed portrait art does nothing but grow in sentimental value as your children grow, and as time rapidly rushes by. And now they're off! All your hard parenting work has paid off and you have raised an amazing human. Let's showcase their talents in their custom Senior Session. All those hours you spent driving to the ballfields, or the bandhall. Let's encorporate those into their Senior Session. This Session is all about their interests. Whether it be dance, reading, music, video games or something creative, lets talk and create a one of kind experience that celebrates YOUR senior! The sky is the limit and we can incorporate these images into gorgeous albums that will be passed down for generations and graduation cards that will surely WOW the relatives. We always encourage clients to invest in printed art, as it is what’s valued as the end result of your session, and the reason you commissioned us. Did you know that more photographs have been taken in the last 8 years than ever, in history? But only 1 in 100,00 of those photographs are actually printed. Digital media only lasts as long as there is a device around to read it. Print your images, its worth it. Those prints will last a lifetime while providing a daily reminder of a cherished memory that will only increase in value over time. Are you just not sure where to hang a wall portrait or how to select a grouping? No problem! That is where we are here to help. We have specialized software that allows us to upload images of your walls and show you at your ordering session exactly what an image or grouping will look like with your own decor. This includes being able to incorporate currently owned artwork and treasures. Do you have a disk of images you purchased and never printed? Let Courtney design a custom wall display that tells your family's story and preserves those memories. Are your walls limited on space? Sitting down with your child on a holiday or even any random day, and turning through the pages of their baby book is quality time you can never replace. The album is the coveted artwork your children will fight over long after you and I are gone. They hold precious memories of images, but also of experiences each and every time you open the book together. Allowing for the display of multiple images from your session, a book or album tells your family story and reminds us that flipping through pages can start wonderful conversations, remind us of beautiful times gone by, and stress to our children how truly, deeply loved they are. Your session book will most likely become the most coveted art from your session! Families may order duplicate albums for grandparents and friends at a generously discounted rate.